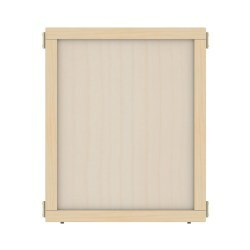 These See-Thru panels help create or define a space for your unique needs. The clear plexiglas panel allows for supervision and interaction with the children. Each panel is 1" deep and is available in six sizes. Works with other Create-A-Space™ components. These Wood panels help create or define a space for your unique needs. Each panel is 1" deep and is available in two sizes. Works with other Create-A-Space™ components. 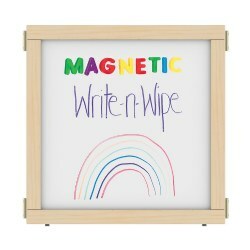 These Magnetic Write-n-Wipe panels help create or define a space for your unique needs. 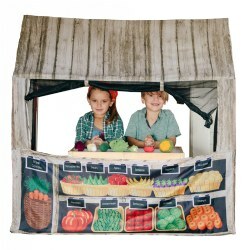 Each panel is 1" deep and is available in two sizes. Works with other Create-A-Space™ components. 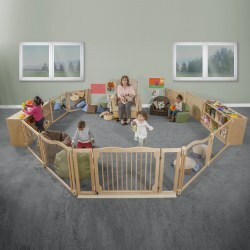 Make the most of your classroom space and easily define a safe play area for toddlers separated from learning and feeding areas. 150 square feet of play space, as shown. Assembly required. Rocker, book display, and accessories sold separately. Use these immobilizer blocks to raise mobile furniture item off the ground to safely connect with the Create-A-Space™ Hub and Panels. Lifts mobile units off the ground just enough so that casters do not touch the floor. Set of 4 blocks. Increase stability while maintaining aesthetics with this set of medium stabilizer wings. They can be connected to a panel or storage unit. 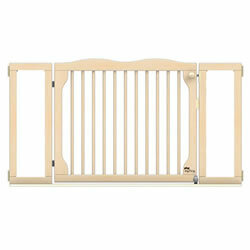 29 1/2"H. Works with Create-A-Space™ components. 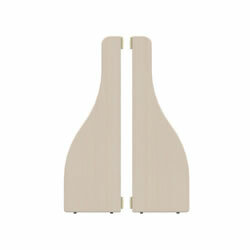 Connect your Create-A-Space™ furniture items to any storage unit using these connector tabs. Sold as a pair and includes hardware. Increase stability while maintaining aesthetics with this set of short stabilizer wings. 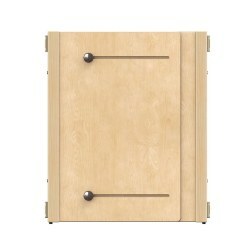 They can be connected to a panel or storage unit. 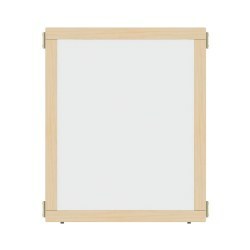 24 1/2"H. Works with Create-A-Space™ components. The Create-A-Space™ medium column post is central to creating your own classroom design. You can attach items as eight different 45" angle increments. Bottom has slip-resistant rubber stopper. 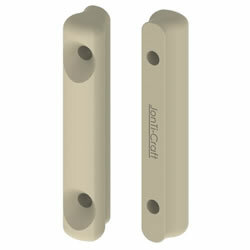 Top and bottom connectors are made from molded nylon and wooden top cap screws on with friction with a rubber gasket to tightly secure the column in place. 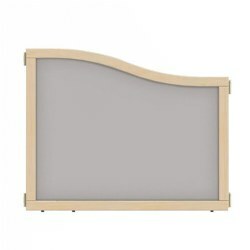 29 1/2"H.
Crest panels transition from different panel heights and makes it easy to connect different height items together. Works with other Create-A-Space™ components. The short wall connector has pre-drilled holes and includes hardware. This makes it easy to securely connect your Create-A-Space™ structure to a wall. 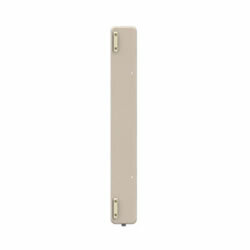 24 1/2"H.
The Create-A-Space™ short column post is central to creating your own classroom design. You can attach items as eight different 45" angle increments. Bottom has slip-resistant rubber stopper. 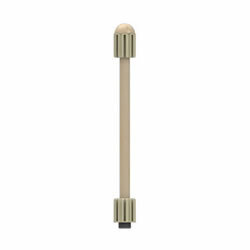 Top and bottom connectors are made from molded nylon and wooden top cap screws on with friction with a rubber gasket to tightly secure the column in place. 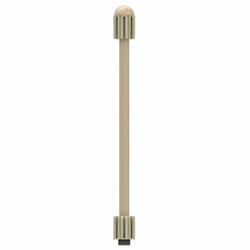 24 1/2"H.
The medium wall connector has pre-drilled holes and includes hardware. This makes it easy to securely connect your Create-A-Space™ structure to a wall. 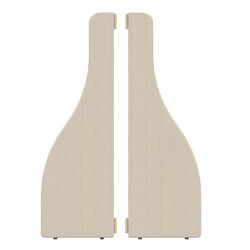 29 1/2"H.
Crest panels transition from different panel heights and makes it easy to connect different height items together. Works with other Create-A-Space™ components. 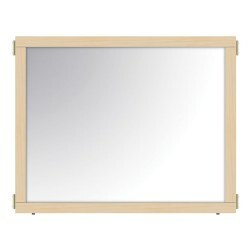 Measures 36"W x 1"D x 24 1/2" - 29 1/2"H.
These Mirror panels help create or define a space for your unique needs. 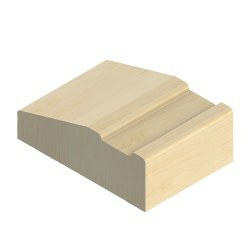 Each panel is 1" deep and is available in three sizes. Works with other Create-A-Space™ components. 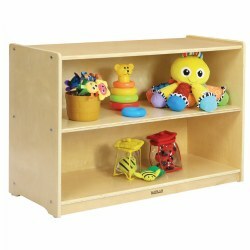 Our inviting Shape-A-Space™ storage units and panels are easy to arrange and design to your individualized playspace needs. Handsome birch ply cabinets each have 2 shelves for loads of storage. Safe rounded edges. 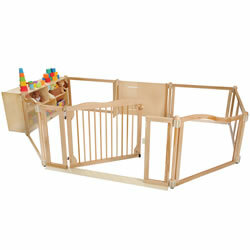 Use storage units independently, or combine with panels as in set shown. 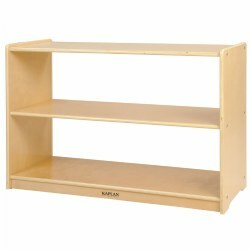 Two Shelf Storage Unit: 24"H x 36"L x 15"D. Wt. 45 lbs. These Flexi-Adjustable panels help create or define a space for your unique needs. 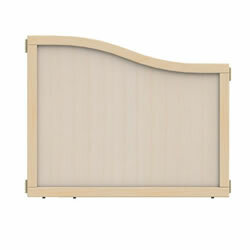 Each panel is 1" deep and is available in two sizes. Works with other Create-A-Space™ components.